Remote workers and freelancers both have a something in common: They’ve brought work into their home. As a result, they have experience struggling with maintaining a healthy work/life balance under one roof. Indeed, when you work from home, you need to establish a very clear and precise sense of organization to ensure that you can remain productive even when you’re not in a traditional workplace. You need a home office that meets all your work requirements. Unfortunately, where businesses have the advantage that office setting costs can be carried by a large number of employees, as a sole individual, you might find that your work settings can get quite expensive. Here are some ideas to maximize your productivity without breaking the bank. First things first, you need to create a space that is entirely dedicated to working. In other words, even if the kitchen table sounds like a good and cost-effective idea, you should invest in a private home office. You need a room where you won’t be disturbed, and, more importantly, where you won’t let yourself be interrupted by everyday life. It’s best as well to create a work or parental control schedule so that you can block social media notifications and access for the time when you need to focus. The fewer elements can attract your attention, the better and quicker you’ll be able to work. People who work from home tend to work longer hours than people who work in an office. There is a misconception that you need to compensate the fact that you’re not in a traditional workplace. But, in reality, remote workers are more likely to achieve more in less time than people who travel to a business office. So there’s no need to work extra time to make up for your home office environment. In fact, you need to schedule regular breaks if you want to remain productive. Make sure to get yourself a fantastic jitter juice for your morning and afternoon breaks. Don’t just make a cuppa and get back to your desk, but take the time to enjoy the drink and relax for a few minutes. You need to plan a 10-min pause at least every 2 hours to recharge your batteries. In an office, most people rely on Outlook or their Gmail calendar to track meetings and projects. When you’re your own boss, it can be a little difficult to record everything you do in Outlook as you’re likely to meet clients outside of your premises. Instead, you can switch to a bullet journal to keep a quick overview at all times in your bag. For a start, you’ll be amazed at how much clarity you gain – most people find they think clearer with a pen and paper. It allows you to be more productive and to optimize the time you spend on certain tasks. You can also combine time management, creative ideas and meeting notes in the same place, giving you a 360° image of your work. You might not believe that a CRM system is right for you, but in reality being able to manage client communication and project progression is essential to your success. That’s precisely why you need a tool that can help you to track and label all exchanges. Don’t think of full in-house solutions such as Salesforce or Microsoft Dynamics. Instead, there are effective, and time-saving tools that you can directly plug into your Gmail account and that comes for free for small freelancers. Using those, you can design in advance standard email responses, track interactions with specific prospects and clients, and create automated marketing emails to apply to new projects. Ultimately, when you’re the boss, you’re also the person responsible for the IT equipment. When your laptop dies, it’s not just a day off; it’s also the risk of losing all your data, work and future income. That’s why you need to choose a reliable device for your business and to ensure that your data are protected. Additionally, you need to know how to create a backup of your work. If you have a Mac, for instance, you’ll love the simplicity of the backup system. You can create a backup of your file in the built-in Time Machine in a few minutes so that you can always access lost files when you need them. The bottom line is that there’s no way of turning your home office into a productive place if you don’t establish the right settings for it. 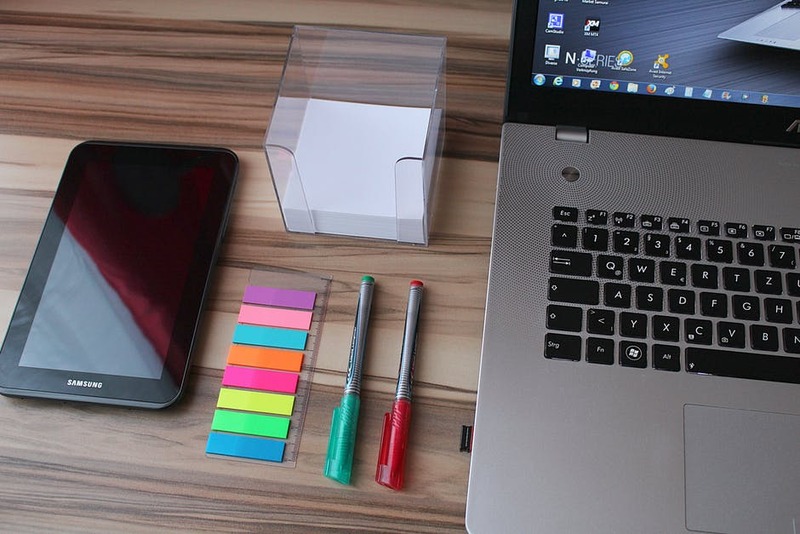 From creating a space that is private to using backup files to protect your portfolio, there are many cost-friendly tips that make home offices work.